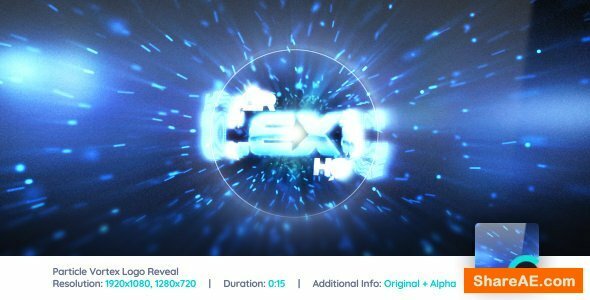 Particle Vortex Logo Reveal features modern and energetic design combined with powerful cinematic atmosphere and organic particle formation effect. There are three versions included in the pack. Customization is really easy – drop in your logo and hit Render. This project is made in FullHD 1920×1080 and HD 1280×720. Audio used in the preview is included with the project! Particle Vortex is great opener for trailer promos, video productions, presentations, product showcases, portfolios and more. Works with any LOGO or TEXT, effects are applied automatically!